Spotting a standout on the spire studded horizon, you anticipate what is coming. Your cart driver encourages the tired looking horse by gently cooing her name. The rutted sandy track resists the traditional wooden wheels of the buggy as the horse strains to haul you towards the gold painted target of your trajectory. The bouncing vehicle slowly comes out from the dusty grooves and onto a slightly firmer path. It is no less bumpy, but you start to make swifter progress on your flight to the significant structure that looms ever closer in your radar. Your driver pops a celebratory betel chew in his mouth and enthusiastically chomps on it. The crimson juice swells at the corner of his lips as it is released by his efforts. 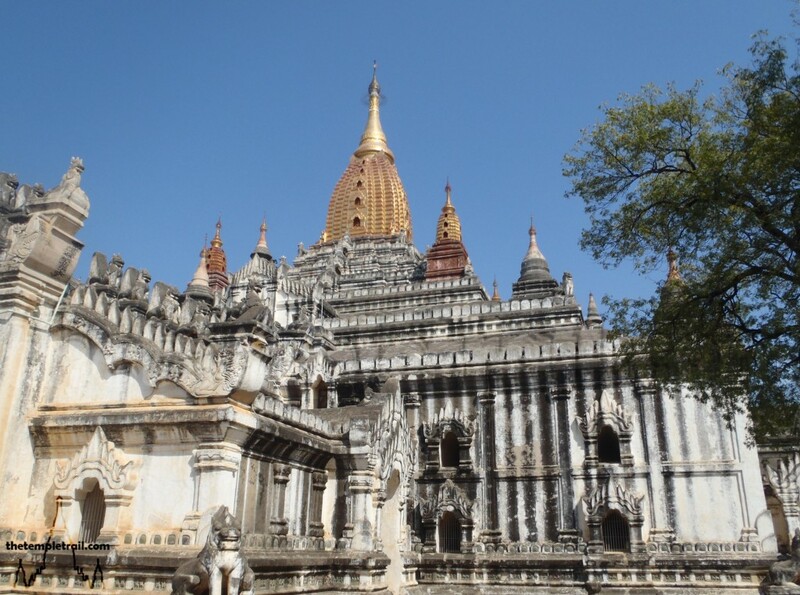 The darker red peeping out of the whitewash of the building that you are heading to is topped by a golden spire that clearly tells of its status among the two thousand other temples on the Bagan Plain. As you approach, the once deserted road becomes a little more populated. Groups of thanaka-painted ladies hawk their wares and other carts can be seen in the shade of the ancient trees, their drivers taking a well-deserved rest while their passengers have gone on foot to the imposing man-made mountain. As you step down from the carriage and allow your driver to join the ranks of others in quiet sleep, you pat the faithful mare before going on your way. In front of you is the powerful Ananda Phaya. 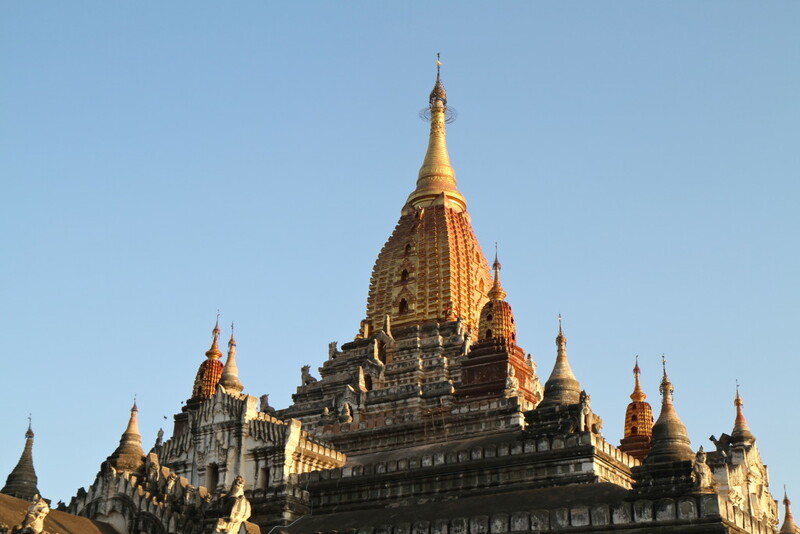 It is a wonder of Bagan period Burmese temple construction that honours the cousin of the Buddha and early Buddhist disciple, Ananda. 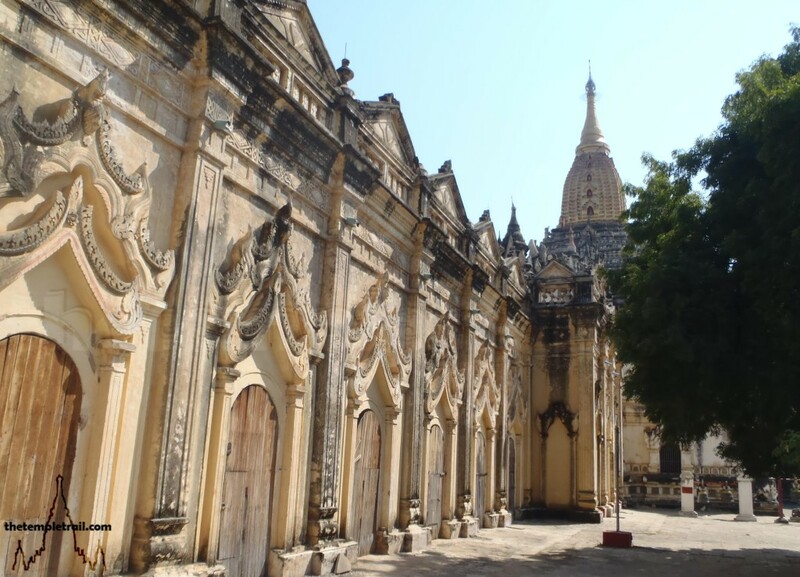 One of the most famous buildings in Bagan, it stands head and shoulders above most of the other edifices both in size and in stature. Built by King Kyanzittha in the late 11th century, Ananda Guphaya, as it’s also known, is a standout of middle period Bagan architecture. The legend states that King Kyansittha was approached by eight monks (sometimes referred to as arhats or saints) who were seeking alms. They promptly described the Nanda Mula Cave in the Himalayas where they had been resident. The king was so enthralled by their wonderful description that he asked them to design and build a temple in its likeness. The eight monks drew up the plans for the temple but, upon its completion, the King had them put to death so that the temple would remain a unique creation. 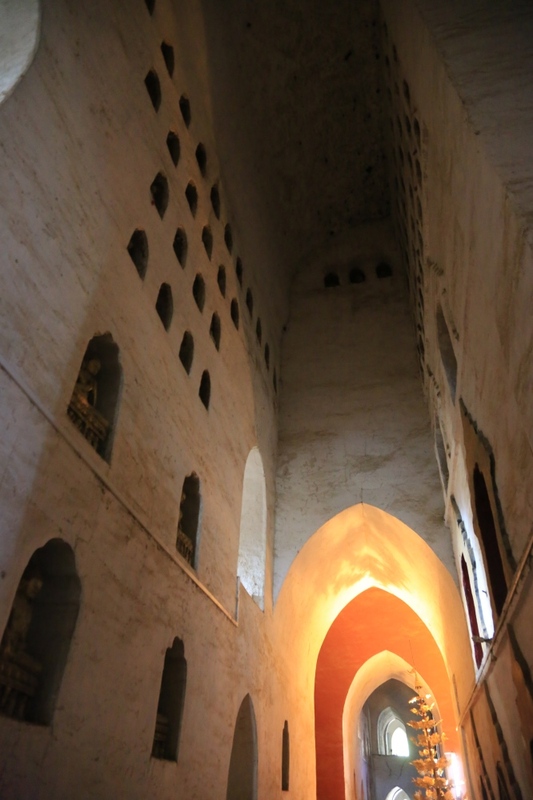 The temple was named the Nandamu Temple and, over time, it became known as the Ananda Temple. An alternate version of the story states that the temple was once known as the Ananta Temple (Ananta Pinya means endless wisdom) and that over time it was corrupted to Ananda. The word anand also means beautiful. 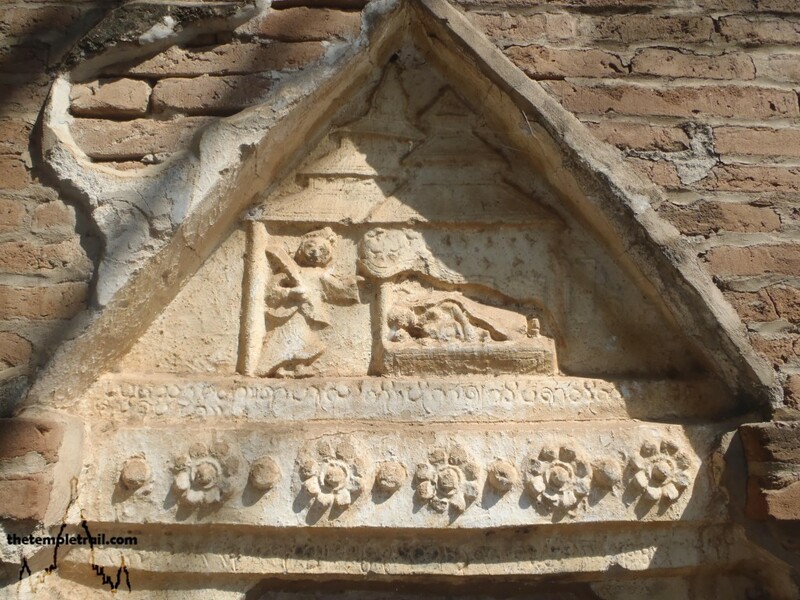 The historical facts show that Kyanzittha wanted to reinforce the Theravada Buddhism that his father, King Anawratha had brought to the kingdom. He wanted his subjects to unite under one doctrine and the Ananda Temple was the culmination of his efforts. It is a beautiful piece of propaganda created to bring the people closer to the King and legitimize his place in power. Kyanzittha also bore the title of Sri Tribuvanaditya Dhamma Yaza (king of justice who shines like the sun over three auspicious worlds), a title clearly aimed at bringing the flock into the fold. This image of a benevolent priest-king does not seem to fit with the murderous king of legend. However, the myth may hold some truth, as experts seem agree that the architects were likely Indian. The style of the temple reflects similarities not only with the more native Mon-style, but more strongly those of Odisha (Orissa) and Bengal. The plan of the temple has been compared to the Somapura Mahavihara in Paharpur, Bangladesh and the styling to the Udayagiri complex in Odisha. Later structures on the Bagan plain took much stylistically from it, such as the Dhammayangyi Guphaya built by Kyanzittha’s grandson King Narathu. 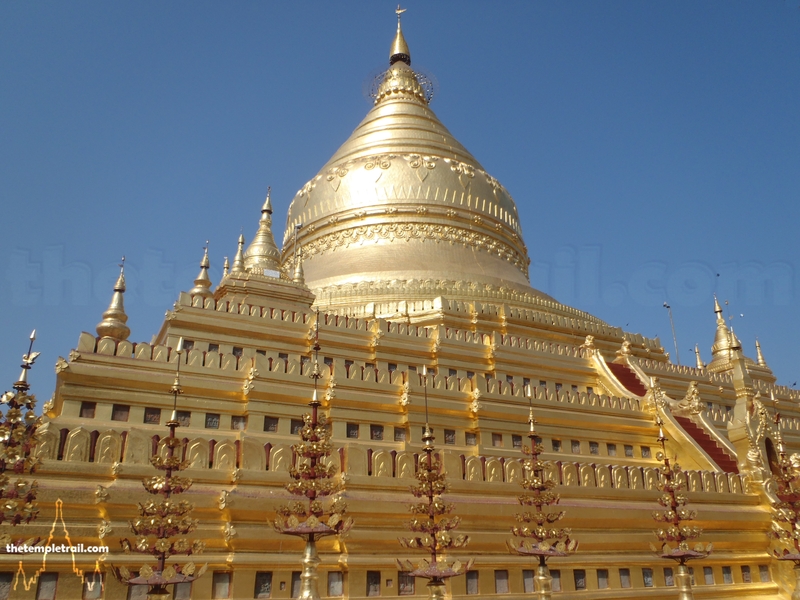 The fabulous gold-painted Sikhara (mountain peak) that soars upward from the top of the temple is commonly seen on Northern-Indian temples and was propagated all over Bagan after the building of Ananda Phaya. On the approach to this glorious piece of propaganda, you note that it packs the intended punch and from the distance looks a lot like a golden crown. Kyanzittha’s aim was well met and his reign was not only peaceful, but also managed to raise the status of the Bagan Kingdom and bring it international recognition. Before you step into the sheltered zaungdan (processional walkway) that leads into the temple complex, you take a few moments to appreciate the smaller Ananda Oakkyaung monastery that provides some shade for your tired horse and driver. The stucco-smattered red-brick structure built in the mid-12th century is simple, but has some rustically pretty mouldings. Stepping into the shade of the zaungdan, you are immediately shown wares by hawkers and stallholders that line both sides of it. The worn wooden tables strain under the weight of replica antiques and Burmese tattoo sets. Sellers offer well-crafted copies of George Orwell’s Burmese Days and Maung Htin Aung’s Burmese Folk-Tales. Arriving at the terminus of the walkway, a brightly painted nat (spirit) watches you remove your shoes from his shrine. The light that totally immerses you outside the temple is soon extinguished as you pardon yourself from the nat’s presence and delve into the guphaya building. As you enter into the chamber through the darkened corridor, you come to the first of four stunning golden statues. 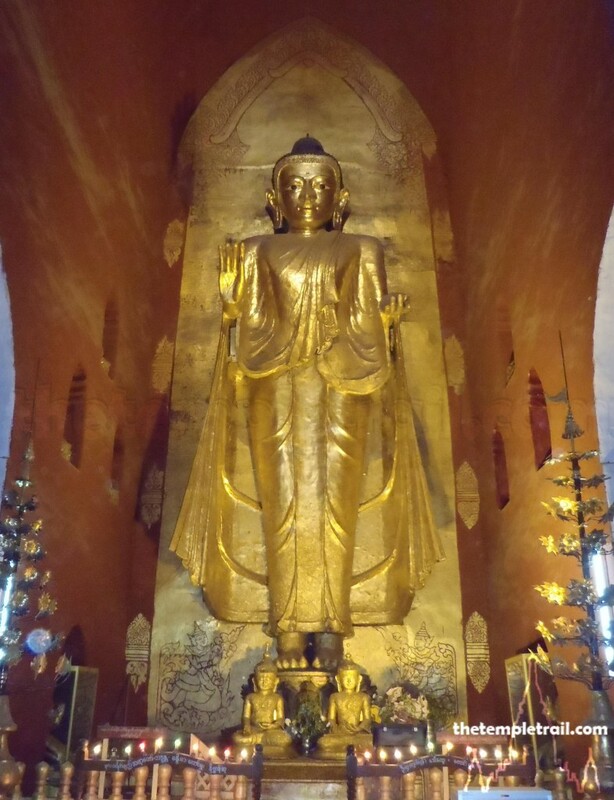 The standing figure in front of you is the north-facing Kakusandha, the first Buddha of the current kalpa (aeon). The nine-metre tall saga wood statue is contemporary with the building, as is the southern statue. Approaching him from the vestibule, he smiles at you, but his mouth takes on a more solemn shape the closer you get. This trick of the statue is one of the tools at the disposal of King Kyanzittha’s artisans. The statue has barely been touched since it was made and has only received some minor repairs to the head and fingers. Circling clockwise around the niche-lined corridors, you learn of the progression from Bodhisattva to Buddha through the carved images. As you come to the eastern cardinal point, you are faced with Koṇāgamana, the second Buddha of this kalpa. The statue is lovely, but is from a more modern era. The original statue was burned down when a careless worshipper brought oil lamps to offer and the sandal wood statue caught the flame. 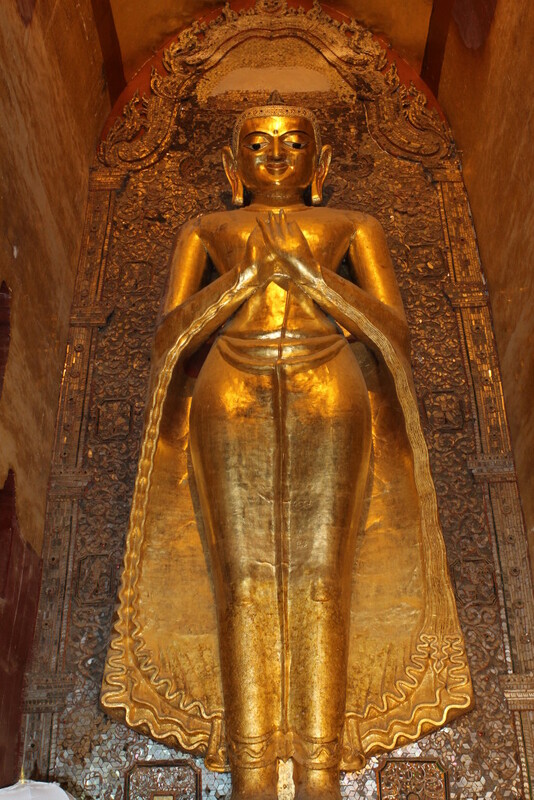 This statue is a replacement from the reign of King Mindon, the penultimate king of Burma, in the 19th century. The teak statue retains the scale of the original, but the face and features are very much contemporary with when it was constructed. It is in the Konbaung-style of Mandalay and his right hand holds a herb to show that the dhamma (teachings) can cure misery. His mudra (hand positioning) is unique for Myanmar. The delicate facial structure is picked out, like on the other three statues, by light from a carefully positioned dormer window. 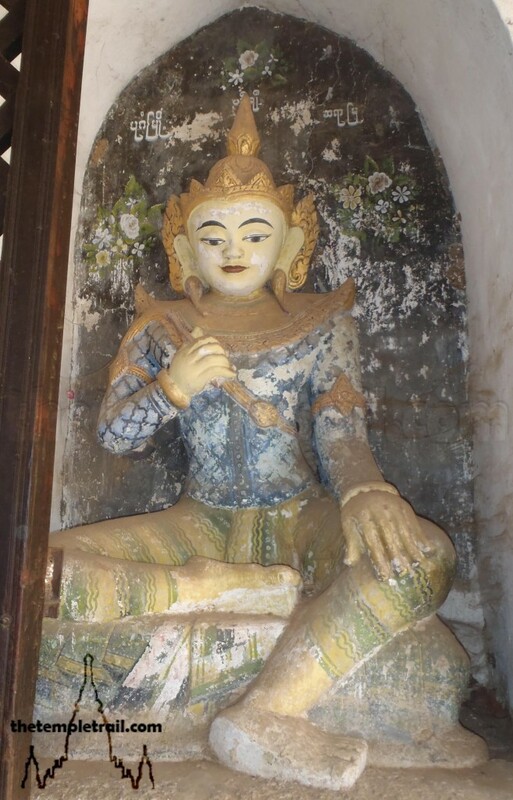 Continuing around the guphaya, you pass some sections of beautiful murals that were uncovered in the mid-20th century by Burmese archaeologists. The whole interior had been overzealously lime-washed by pious iconoclasts. The lavish frescoes depict Buddha and various stories from his life and over time, they will be fully revealed. For now, you content yourself with a small sampler of what has been exposed. At the southern compass point you are in the presence of the only one of the four statues to have never been touched by the restorers brush. It is a marvellous depiction of Kassapa, the third Buddha in sequence. 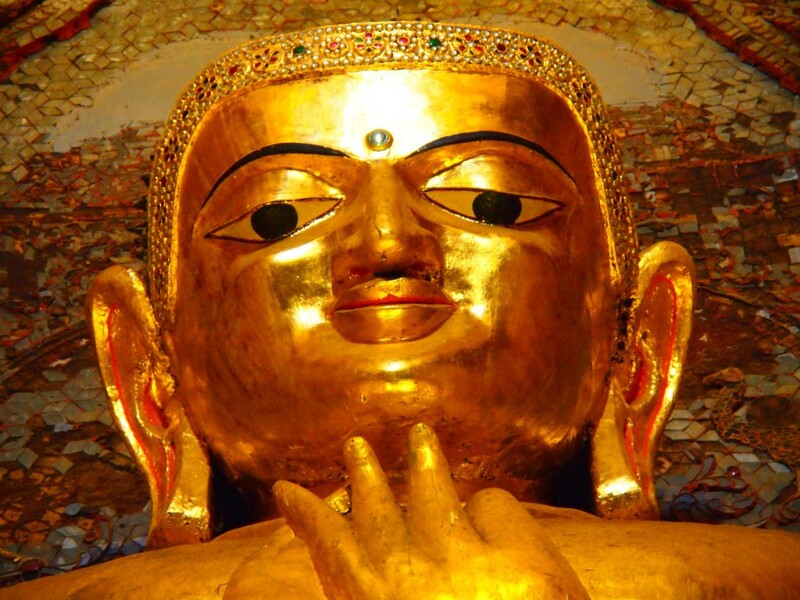 This image of the historical Buddha’s predecessor has the same features as Kakusandha in the north and the same transformable smile defined by the sunlight from the overhead dormer. He also has his hands in the Dhammacakka mudra, symbolic of the expounding of the teachings. It is a masterpiece of middle-era Bagan statuary carved from a single piece of pine and the gentle facial expression shines compassion down upon you. You head to the final cardinal direction and the statue that resides there. 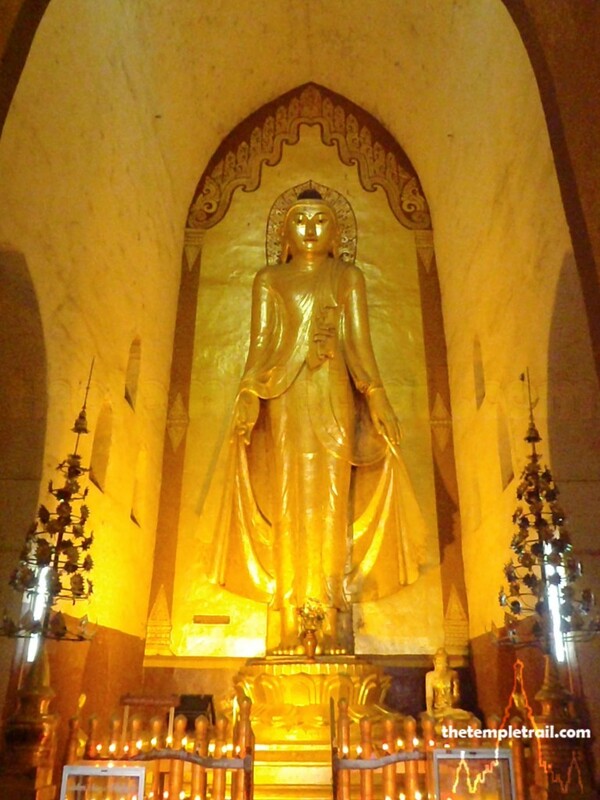 The western statue is, predictably, of Gautama; the historical Buddha. The statue is again a teak replacement and the crudest of all four. It was erected by a local merchant called U San Nyein after the British annexation of Upper Burma in the late 19th century. Alchemist treasure-hunters tore down the original as it was made of an alloy of gold, silver and other valuable metals. The replacement stands in the same position, but is not as glorious as the original would have been. His hands are outstretched in the abhaya mudra of no fear; perhaps a message to the local inhabitants to be strong in the face of British colonialism. To this day, the Burmese will feel a sting in their hearts when they think of the removal of both the statue and of King Thibaw of Mandalay, the last king of Upper Burma. The replacement hasn’t affected the devotion of King Kyanzittha and his life-size kneeling statue to the right of Gautama still pays respect to the newer image. Under the statue, an inscription states that he is a bodhisattva, a cakkavattin (an ideal universal ruler) and incarnation of Lord Vishnu. 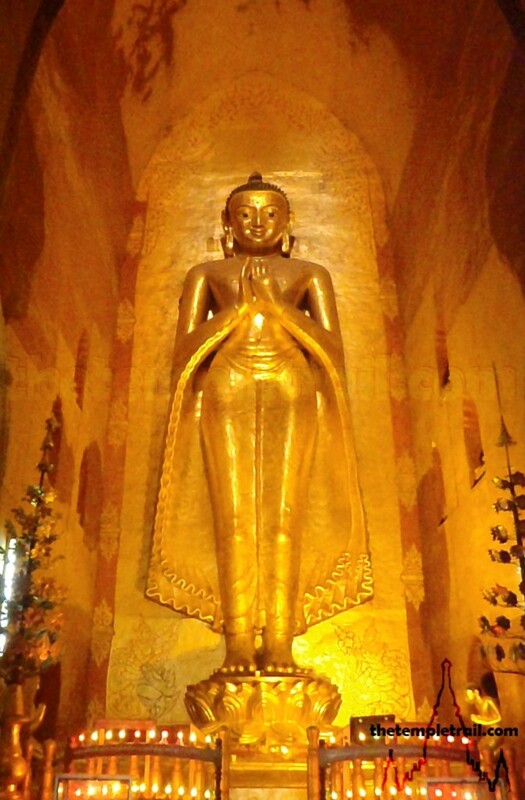 Opposite him to the left of Buddha is a statue, carved from a single piece of stone and bowing in adoration, of Shin Arahan; the Mon religious advisor to King Anawratha and father of pure Theravada Buddhism in Bagan. Completing the circle, you come back to the northern doorway. The carved doorframes that you have seen in the outer corridor hark from the reign of the bellicose King Bayinnaung the Great, third king of the Taungoo Dynasty. 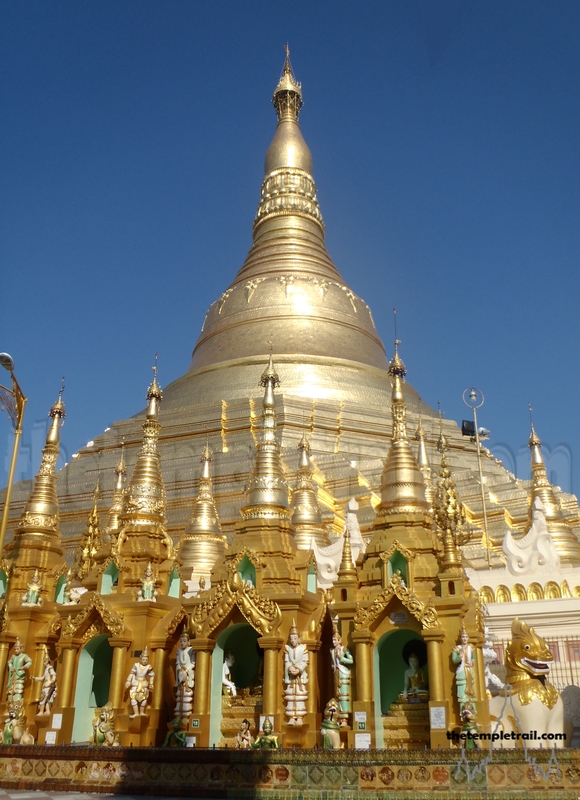 The restoration of the temple during this period stamped the authority of Bayinnaung after the famed ruler reconquered Burma in the mid-16th century. He wanted to place himself in the history of the temple along with Kyanzittha and Shin Arahan. Leaving the inside and inspecting the whitewashed exterior of the temple, you can see the square terracotta plaques that are so Burmese. 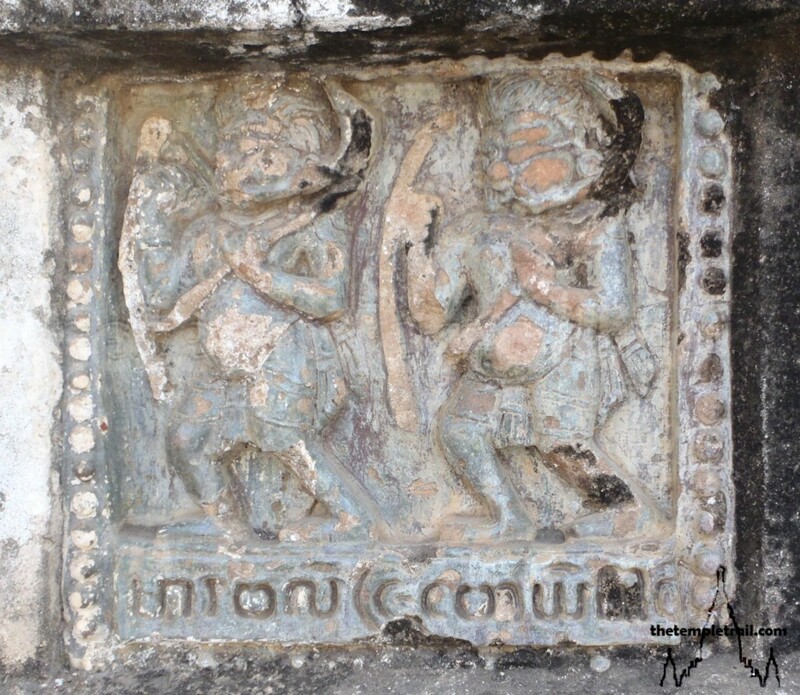 These plaques depict pilgrims from other plains of existence, such as devas (gods) and Yakṣas (ogres), coming to worship at the temple. The tiles can be found at many of the Bagan monuments and the set on the higher terraces, glazed in green, tell the Jataka tales. The Jataka are a set of stories of Buddha’s previous lives as animals and humans. The ones here are very much in-keeping with the style of the time and also further reinforce Kyanzittha’s personal take on Theravada Buddhism. After viewing the illustrations designed to educate illiterate people and propagandize a young nation with a fractured take on religion, you retrace your route to the horse and cart that await your arrival. You have somehow lost track of time, but your driver is happily lying down in the back of the cart, working on a betel chew. He grins a red-toothed smile at you, barely containing the brick-red juices that coat his lips and gums. He nimbly leaps back into the driver’s seat and you hop aboard, ready to take on the rest of the sun-baked Bagan plain.